For their recent high altitude balloon project LVL1 member [Brad] programmed a pretty complicated brain based on an Arduino. It was responsible for collecting data from all of the sensors, and reporting back in a few different ways. One of the things he did to simplify the project was develop a task scheduler for the Arduino board. 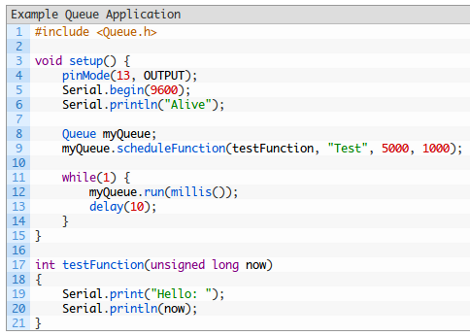 It lets you add functions to a queue of jobs, along with data about when they should be run. The task scheduler does make coding a bit easier, but where it really shines is in situations like this where you don’t have access to the hardware if there’s a problem. In his description of the scheduler [Brad] mentions the possibility that one of the sensors could fail as the cold of the upper atmosphere takes its toll. This could leave the whole system stuck in a subroutine, and therefore it will stop sending reports back to the team on the ground. Since he was using the task scheduler it was a snap to add watchdog timer servicing to the mix. Now if program execution gets stuck the watchdog will reset the chip and all is not lost.